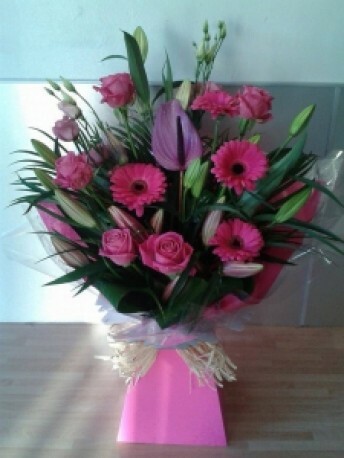 A beautiful mix of pink flowers including gerberas, roses and anthurium amongst other. Presented in an aqua pack complete with water and flower food. Picture shown is a medium size.